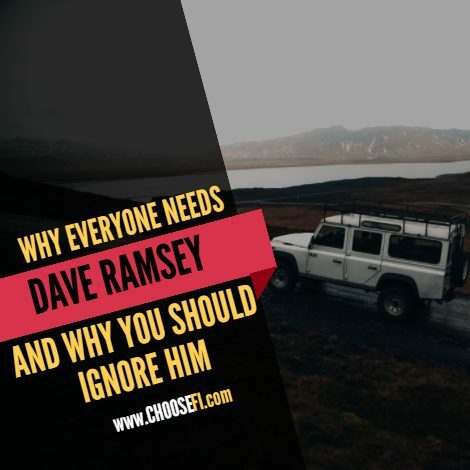 We discuss where ChooseFI and Dave Ramsey agree and disagree. Advice isn’t “one size fits all.” You need to figure out what works for you! I have a lot of thoughts from this episode. Providing feedback is what you guys are asking so here is mine. The main battle is I am hearing is between our psychology and the hard math. The math with the debt repayment topic is clear and it is the psychology that is actually holding many people back rather than helping them. Sometimes our psychology can hold us back and other times it is helpful such as by slowing us down and making us pause before making a sudden financial decision that we grow to regret. Ramsey must have overlooked the percentage gain from taking the match on a company retirement plan, and he must have only been looking at the potential stock market yearly percentage gain versus the interest percentage. I can go on and on about my various thoughts but I can always post on other episodes. Final thought: I continually hear all estimates of placing money in the stock market based on only positive percentages, say 6-10%. It only takes a few bad years to stifle compound interest growth which can set people back some time. I’ve seen data that the recession of 2008 was fully recovered in only 3 years and 2 weeks which really isn’t too bad; however, one of those kinds of downturns per decade could easily add up to an additional 10 years of work to reach a preset retirement goal. I loved your description of Dave Ramsey as “personal finance kindergarten”. 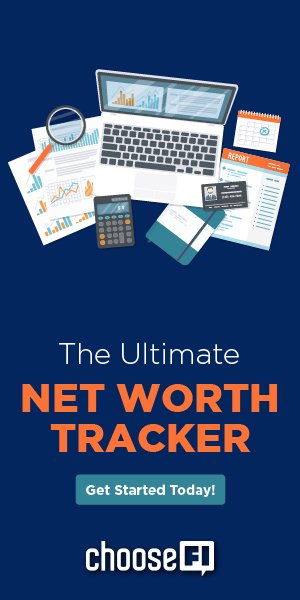 It perfectly describes how my own perspective on him and personal finance has evolved since starting to work on this area of my life last June. 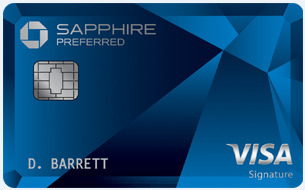 I’ve had a credit card for ten years now and I’ve never carried a balance or paid any interest. When he advocates using a ten year track record to evaluate mutual funds but all credit cards are just too risky well… I’m sensing some bias there. He’s definitely one-size-fits-all and I’ve decided I’m a special snowflake so I’ll just keep picking and choosing what works for me. Really enjoying the podcast so far! Jonathan, you made a mistake with respect to Roth IRAs. You can withdraw your initial contributions tax free at any time for any reason. It does not have to season for five years. The following blog post walks through the relevant IRS publications which shows that you can do this without penalty, even though it is actually an unqualified distribution (and that’s what is confusing). My wife and I are Dave Ramsey graduates. We were able to take his baby steps and walk ourselves out of debt. After being so focused on getting out of debt for two year I felt there was a little emptiness after it was done. I was searching for the next thing and that is when I found the world of FI. The majority of what Dave Ramsey says I agree with, but I have lightened my stance on no credit cards. I did hear you say that Dave suggests you can get an 18% return in the market, but I know he has never said that. He did say that you can get 18% if you stop using credit cards that have a balance, and the APR is 18%. Now I don’t exactly agree with Dave’s assumption on 12%, but J.L. Collins does say in his book The Simple Path to Wealth that from 1975 to 2015 the market average return was 11.9%. J.L. Collins does say that he is not suggesting that you can get that, but he also uses 11.9% in his assumptions. I think Dave knows that that is a big number to hit, but he uses that number as a learning tool, and it has some facts to support the number. When we were getting out of debt we did stop all retirement contributions, but I don’t have a 401k, so I didn’t have to worry about getting that free money. After listening to your podcast I tried to breakdown the numbers for myself if I did have a 401k, and it would be a tough decision if I would have contributed to it. I think knowing what I know now I would have stop all contributions. It just feels great to not be a slave to my debt, and after two years of fighting no amount of money would be worth staying a slave for anymore amount of time. I think that leads into paying off my home. I know a lot of people go with the math on this one, but I’ll ask you what Dave asks his callers,”If you had a paid for home would you go out and borrow money at three percent to invest?”, because it is the same thing as having a mortgage and not paying it off, so you can invest. For me the answer is no, so I would pay off my house. You guys are doing a great job. I love being focused on FI, and I love being part of the conversation. I know this is an old comment, but I would absolutely borrow money at 3% to invest if my mortgage was paid off. I’d use it to invest in more real estate. -529 plans are like sneaky Roths – they’re basically taxed the same when used for college. Your concern of your kid not needing the money is valid but here’s the upside to that: A)It can be transferred to another family member, and b)If you pull the money out for non-qualifying purposes only the growth is penalized (while enjoying tax deferral). I’m happy to talk more publicly here or privately about this. If there’s any way I can help out the FI community, I’m all in. I’m 40 years old and semi-retired, and I always find the topic of financial empowerment quite exciting! Love this podcast! I was afraid you might be Dave Ramsey disciples. But we think very much alike! He’s done some really great work but a lot of the simple steps are just too trivial for us in the FI crowd or just plain wrong. Forego the 401k matching to pay down debt? Maybe for a payday loan with 200%+ interest, but there isn’t a credit card in the world that has an APR high enough to forego my 401k match and the instantaneous 100% return. This anti-debt dogma is quite troubling. I would go so far and still max out the 401k (post-match) and not accelerate paying down a hypothetical 6% loan (to address one the question from your podcast). True, I would prefer a 6% safe return from paying down debt over an uncertain 7-8% equity return. But in the 401k you get the tax arbitrage: lower marginal rate in retirement and potentially zero tax rate due to Roth conversions. That alone is worth maxing out the 401k. Also: I’m with Jonathan on the emergency fund issue. I don’t have one. My entire portfolio is my emergency fund. Is there a risk that I might have to liquidate equity funds during a recession? Yes, but the opportunity cost from the emergency fund is even worse. For most financially uneducated people Ramsey’s advice is still better than the status quo, but the FI crowd is better served with some more specialized, personalized and, above all, optimized advice. Just like what you guys do here on the podcast! Looking forward to working with you guys!!! I have to say ya’ll were incredibly diplomatic on the topic and my new favorite early retirement blog Big ERN sent me your way to listen. I’ve got a lot of issues with Dave Ramsey because it makes things too simple and frankly assumes that we are dumb beasts who can’t control ourselves if we allow ourselves to access debt. I’m an ERN disciple when it comes to debt and emergency funds. I do believe, however, that debt is an anchor and can affect your thinking and perhaps put you in a position where you are not so clearheaded with your decision making but I think it’s good to sit down and do the math because sometimes that will make the decision more optimized. As a high earning pharmacist, you are likely paying .25-.30 of every dollar to federal and state taxes (or more) and by maxing out your 401K, you automatically save $5,400 in tax payments (assuming the .30) and so the $18,000 contribution only feels like $12,600 in your pocketbook. When you save on taxes, especially when you are a higher earner, there is a multiplier type effect, that will help you get to FI sooner. For me, maxing out my 401K the past 16-17 years, has been a key piece to the puzzle (I’m officially FI already and about to be RE on 6/30!). All that being said, it is nice to get rid of debt. I was thinking though, depending on the type of student loan you had, was the interest on said loans tax deductible? Because if that was the case, your “real” interest rate is even lower than 6%. I also don’t have issues with reasonable amounts of student loans – I got access to a high caliber liberal arts education and graduated with a $12,000 liability – and I’ve never regretted it even though I had zero tangible vocational skills. Now I’m curious to listen to some of these other podcasts. Keep spreading your message! Hey guys, really like the podcasts but was really disappointed with this one. I will admit I am a Dave Ramsey guy, but I have no issues with folks disagreeing with him. He isn’t perfect, nor what he advocates. It works for the masses and the principles are great for struggling people to attain. 1) 12-18% return on investment. Dave ROUTINELY quotes 12% but I have never heard him say 12-18%, ever. 2) Baby Steps 4-6 are done simultaneously, not one at a time. 3) Baby Step 7. You guys whiffed on this one pretty bad. I believe the phrase was “anti-climatic”. This is where Dave says to start investing in Real Estate and be an EXTREMELY generous giver. He expects folks to be giving during the whole process, but this is where you take it to another level. While minor points (and there were more) you put a bit of spin on an individual when you don’t get into their “Why”. I was disappointed that there wasn’t more time/detail put into to researching the subject of this podcast. I’m not trying to bag on you guys and I have thoroughly enjoyed your other podcasts and have learned so much. But this was a bit of a disappointment for me. Take it for what its worth, I’m not a pro at anything just another average Joe trying to figure things out. Keep up the hard work, I appreciate what you are doing! I love your show and what you are doing. I have done a number of your suggestions over the years and thank god I did. I am a self-employed professional in a cyclical industry. Self employed people need your suggestions. I am going through a downturn now. I can’t even imagine my circumstances if I had not done the things you suggest, especially living beneath my means and saving like crazy. I would love to hear more about starting small businesses. Thanks for everything. Hey guys: Enjoyed the podcast, and just discovered you guys. So I’m about a 90% DR follower, but do really hate it when people just blindly follow. I need evidence. I think you are missing a key point, in regards to credit cards and DR’s tips on saving $. Research shows (https://www.nerdwallet.com/blog/credit-cards/credit-cards-make-you-spend-more/) that you spend more with a credit card than paying with cash. DR’s biggest savings tip, in my humble opinion, is to go to the cash envelopes. And my own personal experience is that this is 100% correct. I’ve dropped all credit cards because I found there were items that I would purchase using plastic, but something stopped me when I considered the same purchase but using cash. Also, second the comment on 18% returns. I’m an avid DR podcast listener, I teach FPU, and have NEVER heard this. Maybe these were just oversights, but I think unless you address these points it limits your credibility on this issue. DR contends that “your income is your biggest wealth building tool.” I agree with him on this point. Thanks for bringing this topic to the podcast and encouraging the FI lifestyle. If plastic is the problem, and causes spending to increase, then why would DR be OK with debit cards and not credit cards? You still don’t experience the “pain” of paying with cash. And for me, anyway, paying with my credit card is more painful because there is a record of my spending. When I spend cash, it’s just gone and I never think about it again. In my mental accounting, the cash is spent once it’s no longer in my checking or savings account. A friend just recently introduced me to your podcast and I am really enjoying it. I did have one question though, in the this episode you talked about not paying off your mortgage early because the current rates are so low. But earlier in the podcast you took a stance of decreaseing your expenses as low as possible because that is basically tax free money. Why wouldn’t you apply that same concept to your mortgage? Great podcast guys. I just wanted to point out one other nice thing about 529’s. You had concerns about if your kids had earned a scholarship. The good news is if your kid gets a scholarship you are allowed to take the same amount of money out of the 529 penalty free. Only the gains would be taxed as if it was from an after tax account. Hi guys! I found you from another forum I frequent. I have done the Dave Ramsey thing and was even debt free for over two years. Now, I use his baby steps as general guidelines but give myself flexibility to do what works for me. The scenario you gave about the high income earner choosing not to pay off the student loan is my exact situation. I earn around $200K/year and max out my 401K (first for the tax break, and second because my employer matches .50 cents to the dollar up to the federal limit). I also save about 12% of my post-tax income in cash and through an ESPP. I currently have a $31K balance on my student loan at a 3.49% variable interest. My monthly payment is under $400/month. At this point I could pay it off with cash on hand, but I’ve chosen not to do so for two reasons. First one is that I am transitioning out of my company and will likely be living on savings for a while so cash in hand is king. Second reason is because MATH. While I hate the large total number the monthly payment doesn’t have a big impact on cashflow so for all intents and purposes it’s cheaper to keep her. So that’s just my perspective on the WWYD question. This is my first day listening to your show. Decided to play catch up and will be working through the remaining podcasts above over the next week. So far, loving this and resonate with everything you’re saying. My wife and I have been on this journey now 8 years and love it. Before I write on Dave, you asked for input on the 401k-school loans debate. I think there is a lot of value for people who are paying off school loans to focus not only on ROTHs but to consider the 401k. I’d say there are some qualifiers, but as a generalization: people with school loans are just starting off and relatively long. I’d also say, there is a good chance with this generation that at sometime soon they will change jobs. Putting money into your 401k at this point could be a game changer if when you leave your company you convert the 401k into your ROTH IRA. This supercharging could help make up for lost time if cash flows and tax burden would allow. I enjoyed all your thoughts on Dave. DR was instrumental for us as we were given his Financial Peace University CDs by someone durning our honeymoon. And yes, we listened them through. And registered them through. Great introduction to finance, but as it’s been said multiple times and I truly agree, a great introduction but that’s about it. I read most the comments above, and I realize this is ancient recording now, but I think it’s good for people to try to take into consideration Dave’s audience. He is really hitting home for a lot of middle aged middle class Americans who have been super-consuming for decades, and now are in urgent need for catchup. One thing that was debated a lot but I think plays into this is the ‘pay off the house early’. This is a great thing for someone to aim for if they are addicted to consuming and used to debt. For that person paying off the house becomes not only extra savings they can get behind, but it lowers their overhead for their already ill prepared retirement investments. I’d suggest though it’s a terrible route for most FIers as a simple capturing of the spread of returns vs rates shows it in favor of investments. This to me is compounded in that my financial asset also create a stream of income as it throws off dividends. Double win. Looking forward to listening to more of your guys’ thoughts. I’m brand new to this FI thing and am still feeling my way through. I have followed DR though and have paid off over 100k in debt and am happy to say that I’m debt free except for my home. I love all of the information that was presented and I’m taking a lot of it into consideration. Particularly using travel rewards cards as a means to see the world for free, or at least at a deep discount. I’m still on the fence about paying off the mortgage though. I haven’t seen the data, but DR always states that the majority of everyday millionaires that he interviews have all stated the key to building wealth for them was paying off their mortgage as fast as possible and investing at an early age. Any thoughts on that? Looking forward to all of the information I’m discovering through you guys.